Set apart from others by its seclusion, intimacy and privacy, Toro Yaka allows nature lovers to experience wildlife at close proximity. 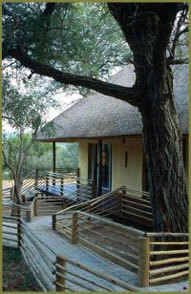 The lodge has been designed for true bush elegance, and combines personal service and closeness to nature. The six private en-suite double rooms ensure tranquility and comfort at all times. 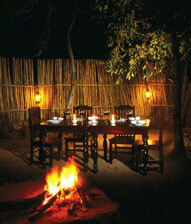 The cuisine is a fusion of European and traditional African, prepared mostly outdoors over an open fire. Animals can be viewed at the drinking holes from the deck, and there is an abundance of bird life and tree species. Game drives and game walks, accompanied by professional field guides, afford every opportunity to see the Big Five and other fauna. 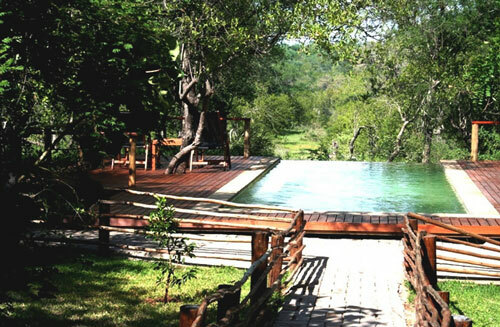 The Olifants River, which flows all yearround through Balule, is home to crocodiles and hippos. This is also an area of great scenic splendour, with the northern Drakensberg mountain range being visible from most points. Toro Yaka is Owner managed by husband and wife team, Steve and Nicole, who will personally ensure your stay to be something to remember. 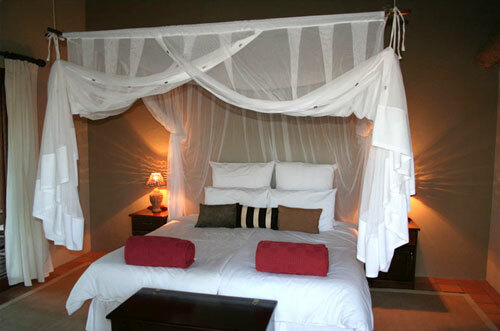 Six en-suite double or twin rooms equipped with overhead fans, air conditioners and mosquito nets. Beautiful English Colonial decor, all under thatch, ensures luxury but fitting accommodation. Game viewing from your room or wooden deck in front of your room is an added bonus. 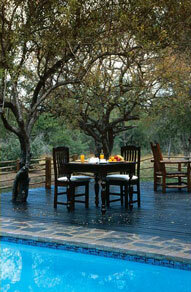 The pool deck, dining room and entertainment area all overlooks a waterhole to watch animals at your leisure. A spotlight gives you the opportunity to view animals at night. A sparkling freshwater pool is a welcome sight in summer. 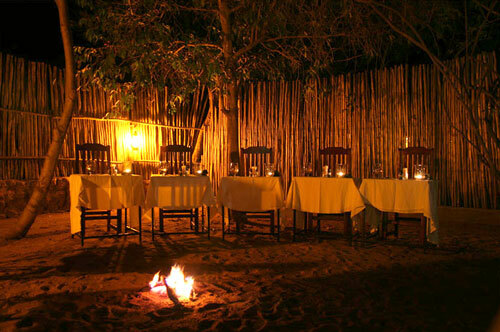 Toro Yaka's Boma is where you will experience true "Bush cuisine" next to the campfire. 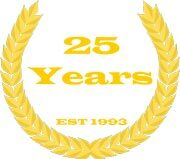 Children's books, games and videos. From Gauteng take N4 towards Nelspruit. Exit at Belfast and travel through Dullstroom, Lydenburg, Orighstad, over the Abel Erasmus pass into Hoedspruit. At the third stop sign, in Hoedspruit, turn left towards Phalaborwa and find Balule Nature Reserve entrance 17km further on the right. Gravel road of 7km to Toro Yaka Bush Lodge is well marked. Bush walks, within Balule Game Reserve, also accompanied by an experienced field guide, gives you the opportunity to get closer to nature with its smaller animals, spoor, droppings, birds and trees. Bird watching is rewarding, with over 450 species of birds in the area! 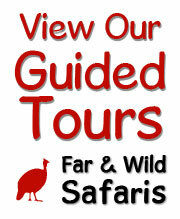 Participate in any Wildlife Veterinary work that might come up during your stay!! Sundowners, whether on game drives or at Toro Yaka Bush Lodge is always a special occasion. Bush picnics and Bush dinners will be arranged on request. 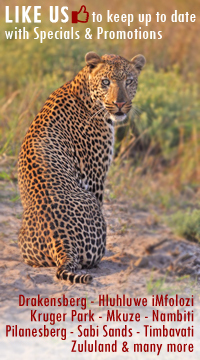 Day trips to the Kapama Cheetah Breeding Project, Moholoholo Animal Rehabilitation Center, Swadini Reptile Park and Nyani Cultural Village can be arranged. The Drakensberg Panoramic Route including Pilgrim's Rest, Bourke's Luck potholes, Mac-Mac falls, Blyde River Canyon and God's Window is a beautiful scenic option. Play golf at the famous Hans Merensky golf course. 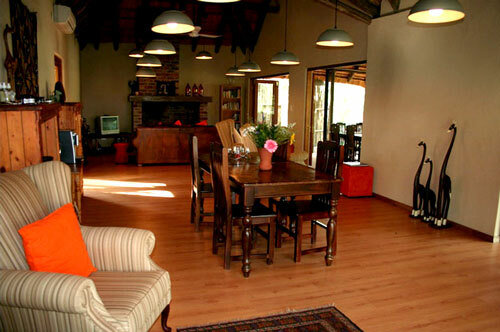 Balule Game Reserve is within 1-hour drive from either the Orpen or Phalaborwa gate into Kruger National Park. For the more adventurers, there is White water rafting in the Blyde Canyon, Abseiling, Hike up to the Mariepskop Rain forest, a Hot air balloon ride or a Horseback safari. 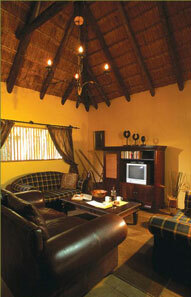 Spend time at your leisure at the lodge watching animals come to drink, or catch up on you're reading or sleeping time. Activities are subcontracted out and are subject to availibility.